For today's post I thought I would do something a little different and share some of the songs I just can't get enough of lately. I have been obsessed with watching these types of videos as they seem to be everywhere so I thought it might be a good little series to do here on my blog and maybe share with you guys the songs that I have been loving on a monthly basis. My music taste is a little different and I listen to a whole bunch of stuff from different genre's so this might not be to everyone's taste. 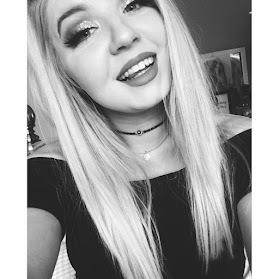 However, I hope that it may be quite an interesting post and that it may help you guys discover some new music or just get to know me a little more. 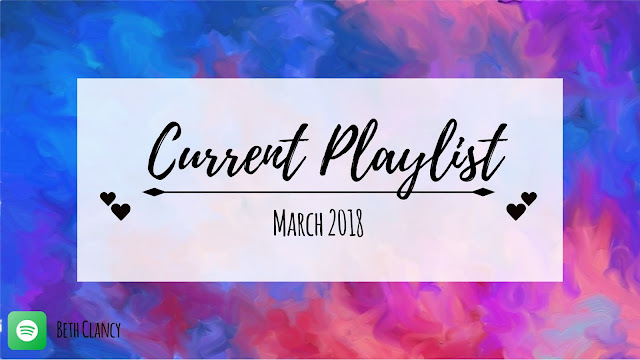 That's all for my current playlist for March 2018 I hope you enjoyed having a little look at what I have been listening too. I would love to know what songs everyone else has been loving this month so please let me know as I am always looking for new music to listen too. I will leave my Spotify name below for anyone that's interested. These songs are what I have been listening to the most from my 'Random' playlist.